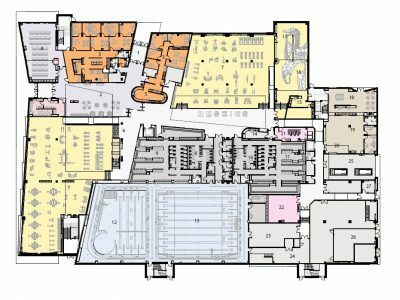 UConn Recreation will have a new home in 2019! Construction is underway for UConn's dynamic new three-story 191,000 square foot Student Recreation Center. 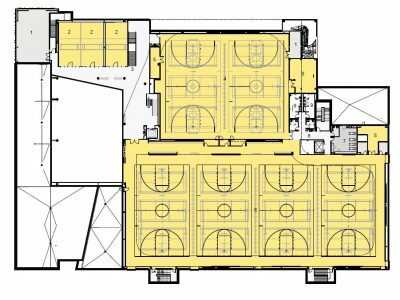 The Design Phase began in October 2015 with considerable input from students, staff and the Student Advisory Committee. The project is currently in the Construction Phase and scheduled for completion in the summer of 2019. The facility will be fully operational for the fall semester. 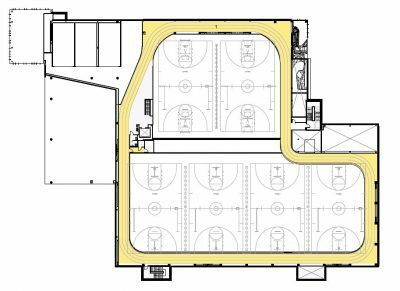 The planned facility includes approximately 30,000 square feet of fitness space, a four-court gymnasium, two multipurpose activity courts, an indoor running track, an aquatics center with a 25-meter pool and a recreational pool, a climbing center, racquetball courts, an outdoor recreation center and functional training and multipurpose rooms for use by the students and the UConn community. 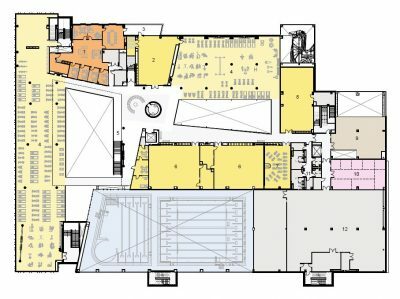 The new recreation center will cost approximately $75 million to construct ($100 M project cost) and will be located on Hillside Road across the street from the UConn Bookstore, on land previously occupied by the Connecticut Commons residence halls. The project conforms to Connecticut High Performance Building Code regulations and will be registered as a LEED GOLD project. To learn more about the new SRC's sustainability plans please read our project narrative.